Even though I wrote a post about French macarons in the early months of the blog's life, I can't say I actually participated in the actually making of the macarons. I sifted the almond flour but other sistas did all the heavy lifting for that wedding project. I did attempt to make macarons as prep for the wedding project and even tried to make my own almond flour in my mini chop. Needless to say, they were hideously ugly and maybe one meringue almost looked like a macaron. Total. Disaster. Fast forward 6.5 years later, I decided try to make macarons as a St. Paddy's Day project. All I hoped for was for proper "feet" or ruffles on the edges of the meringues. 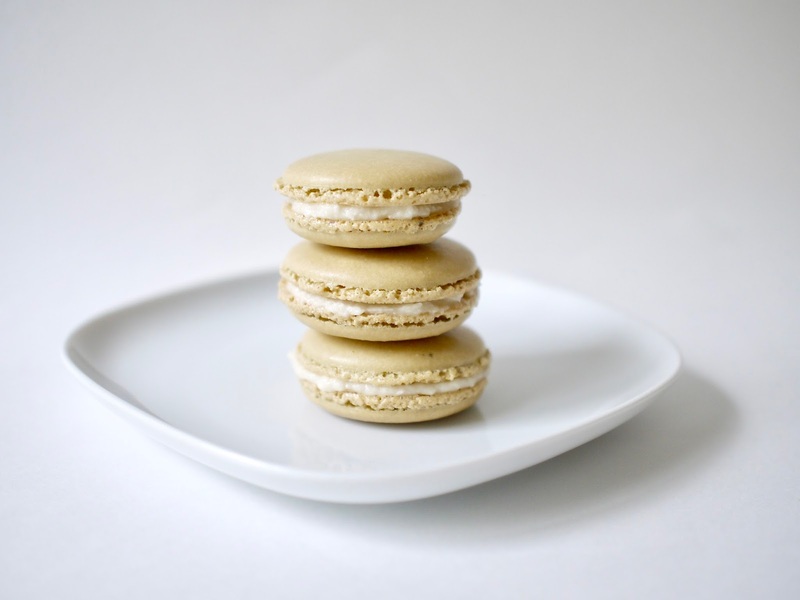 Most macaron recipes will advise that you weigh out all your ingredients in order to achieve the best results. However, against my better judgement, I decided to use this Food 52 recipe that just had cup measurements for the ingredients (I was in a lazy mood and didn't feel like using my scale). I was hoping to just cross my fingers and hope for the best. And for a festive green ingredient? Matcha, of course. But I used only matcha powder instead of adding in green food coloring. 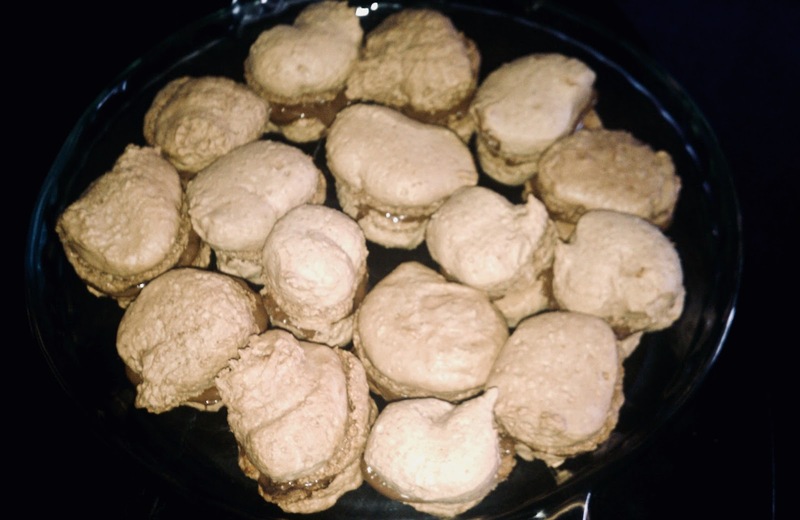 The final result: caramel-colored macarons (so strange) but also perfectly domed and footed meringues! I may need to do some further research on how to make sure there aren't any air pockets but I'd say my second "first" attempt was pretty successful! The Recipe: Matcha macarons from Food 52 with a vanilla buttercream filling based off of this one from Oh Sweet Day. 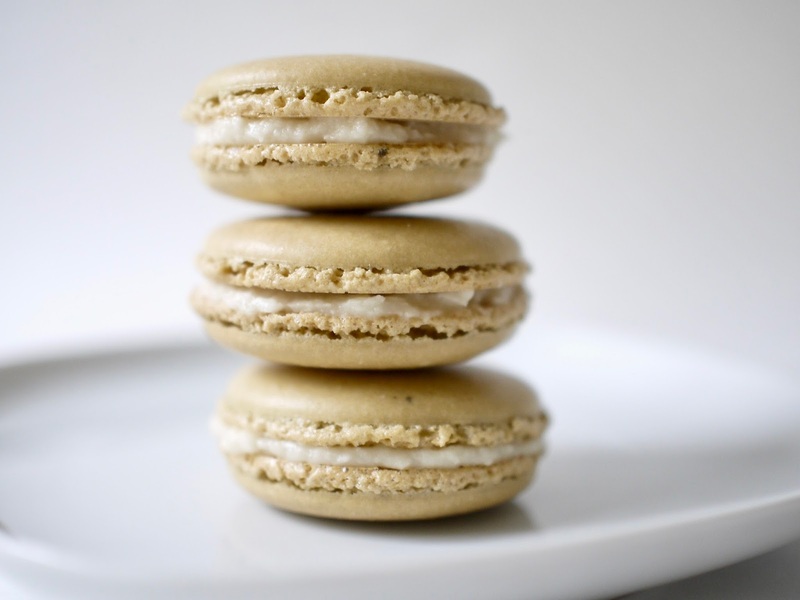 Warning: You probably already know this but macarons are pretty labor intensive. Weighing out ingredients, making sure you have "aged" egg whites (egg whites sitting out for a few hours or even a day) and the folding of the flour into the egg whites (about 50 turns! ), then filling piping bags, then piping, then waiting for macarons to set---but the end result looks impressive and is super delicious. It might be a while until I make my next batch but glad I redeemed myself from my macaron adventures almost 7 years ago.